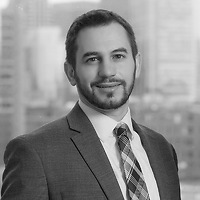 Nutter announced that Christopher W. Papavasiliou has been elected partner, effective January 1, 2017. Christopher W. Papavasiliou advises clients on a wide range of real estate matters, including acquisition, disposition, leasing, financing, and construction. A partner in the firm’s Real Estate and Finance Department, he has experience representing clients on all sides of real estate transactions, representing both buyers and sellers, landlords and tenants, and lenders and borrowers. He also has an active construction practice and routinely represents owners of real estate with a wide range of construction needs, including projects throughout the country, Europe, and Asia. Chris is a member of the Urban Land Institute, NAIOP, and the Boston Bar Association, and is involved in NAIOP’s Leadership Institute. He earned his law degree, with honor, from Emory University School of Law, where he was a Sidney Parks Scholar and a member of the Order of the Coif, and he earned his undergraduate degree from Georgetown University.